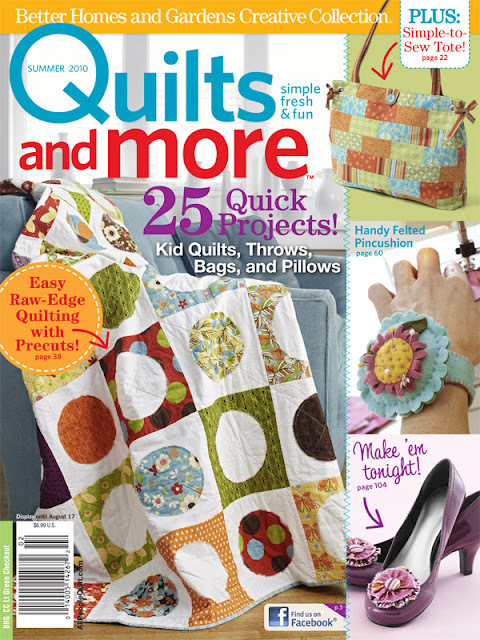 that my quilt made the cover! you know... when anthony found out that heidi was gonna wear his dress on the cover of marie claire?? well that's kinda how this feels. pinch me. this all still feels so unreal! and still isn't home yet! i've got a new shop! i've made the move to big cartel! 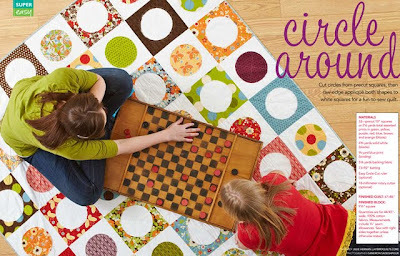 i've got kits available of circle around!! the first 15 kits get a custom label made by me!! it's like a mini block! & sorry for the excessive exclamation points. but i just couldn't stop!! Congratulations Julie and I think kits are great!!! AWESOME!!!!!!!!!!!!!! and you can use as many!!!!!!! !as you want!!! I love your quilts, and you are such a fun person! this is awesome!!! congratulations. the quilt is beautiful. this is my favorite quilt magazine. Congrats!! That is so cool. Well done!!!! That is exciting news!!! GET OUT! o.m.g. So awesome! Congratulations! Congratulations!!!! !This is a big news! You can be proud of yourself! Congratulations Julie! 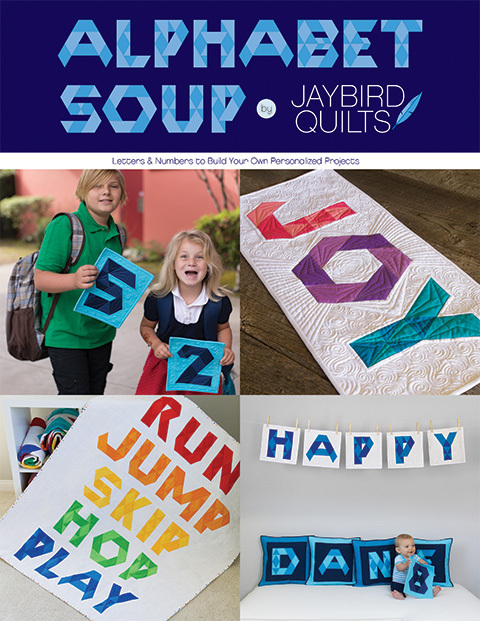 This is awesome - I love Quilts and More, it's one of my favourites so I'll definitely be picking up this issue! Wow!!!!!!!!! Congrats Julie! I absolutely love it! You'll autograph my copy...right?? Congratulations! 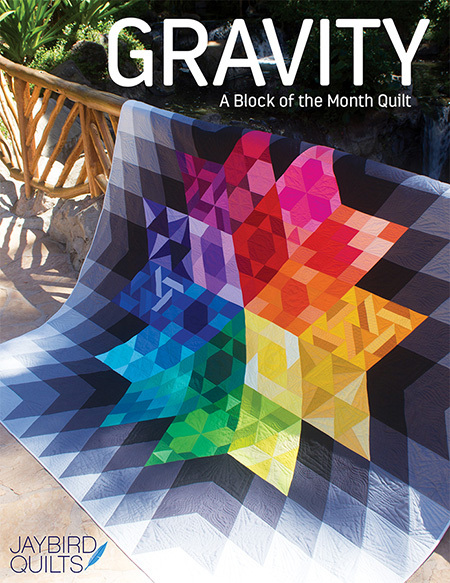 It's exciting enough to be IN a major quilt magazine, but the cover . . . fantastic! They photographed it so beautifully, too! Congratulations!! That is just so awesome!! Congratulations on making it on the cover! That's huge :) How exciting, enjoy it!!!! Love the quilt! I am not surprised - you should be on every cover - you are so talented! How should we celebrate? congrats, julie! this is awesome!!! You go right ahead with those exclamation points!!! Very well deserved. Congratulations and lots of luck with the new shop!!! That is just wonderful! I'll be checking the racks for the magazine. Congratulations! Congratulations on this fantastic news! You must feel so proud. Don't apologize for those exclamation points - you deserve every single one!! I can't wait to get this issue to see that cover project up close. and you definitely have something to be excited about!!! Congratulations. You go girl! That is awesome beyond awesome! I just bought some freebird . . . mama likes! 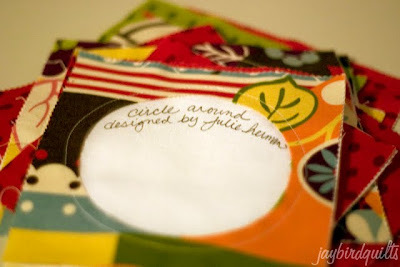 I just might be making circling around quilt. Congratulations! That is an awesome quilt!! Love it. With lots of exclamation points I say CONGRATULATIONS!!!!!!!!!!!! Congrats! You should be very proud!!! Love the quilt! I love it when I know someone that has a quilt in a magazine. Congrats! Woo hoo! That's fantastic. 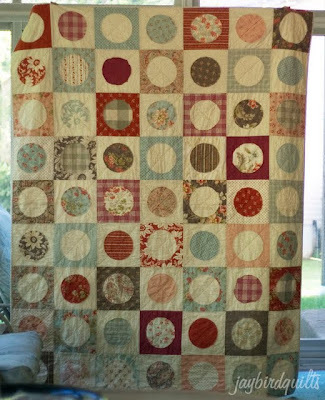 I love Quilts & More for the cute, fresh ideas. Can't wait to pick this one up! Congratulation Julie! I am so proud for you! It looks like along with my fabric collections I am now going to have a Julie magazine collection! Wow! Congratulations! That is so wonderful for you. way to go! 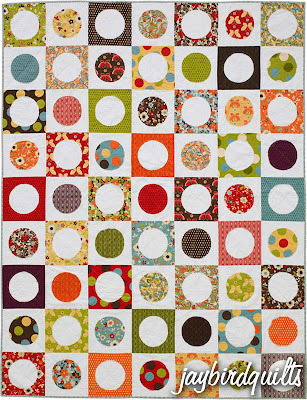 I just started to cut some of these blocks up yesterday love circle quilts right now! congratulations, julie!!!! you've come so far, and so fast! i'm super proud of you. ps, the shop looks great! Your quilts are spectacular. Your new shop "a must see". Congrats on the store too! how come you're such a super star??? 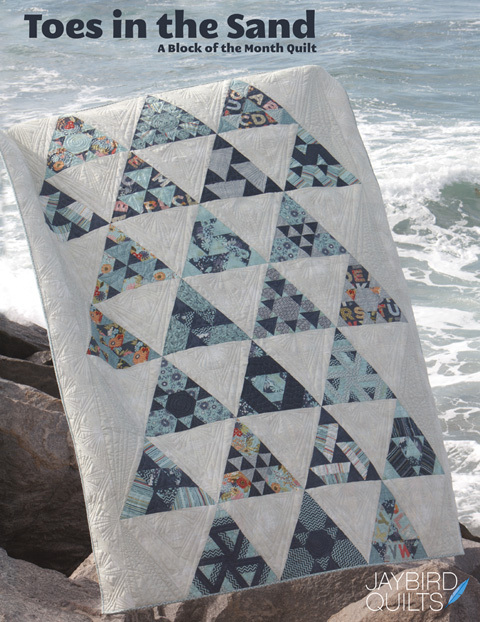 i'm lOVING this quilt and kit!! such a cute way to display this new line... clever, clever Julie!! Don't apologize for being excited! That is the COOLEST news! I'm doing the happy dance for you! 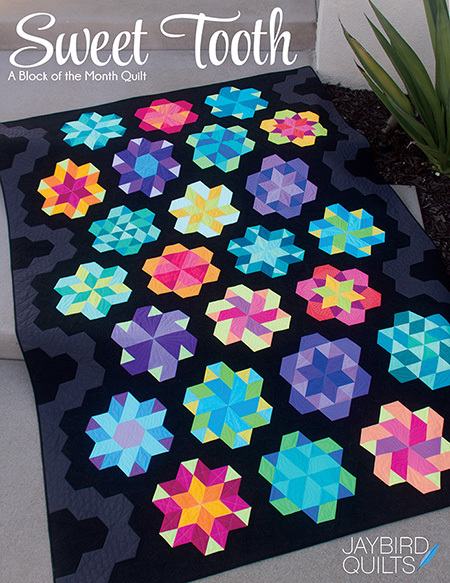 What a great quilt too - can't wait to get mine in the mail! Congratulations - well done! So happy for you that must be an incredible feeling. Just ordered your kit and I will be feeling happy when I get it in the mail, especially if I get one of the world famous autographed blocks! Thanks again for sharing your world with us! You "Made It Work" Julie!! Congratulations! 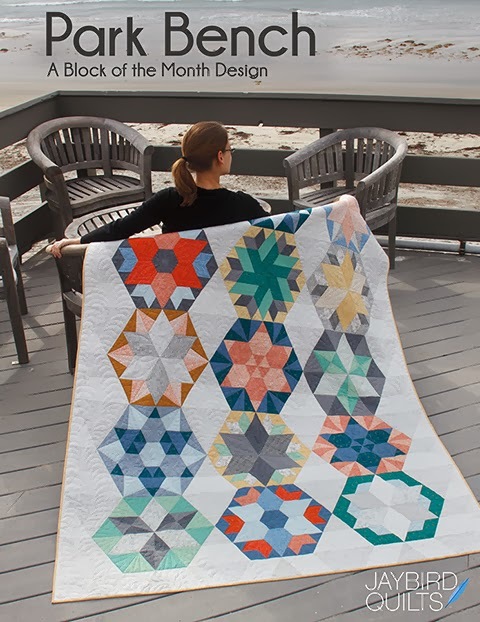 Love the quilt - ordered the kit! Many Congrats and such sucess!!! I am in love with circles right now and can't wait to get the kit to get started. Keep up the awesome work! you keep all of us motivated! Wowee! :) Congrats on the cover. It really is a fun one! Hoping you have many more "cover girl" experiences! Congrats!!! Congratulations!!! It's the perfect cover quilt!! Congrats, it's a very lovely quilt! That is so awesome, Julie! Congrats! awesome! love the quilt and the mag. congrats! How do you cute the circles? Do you use a GO! Cutter, or the like? Congrats and what a lovely quilt! Congratulations, Making the cover is super amazing! Keep up the great work. Woo hoo. Put on your heels and let's go party! Congratulations. Beautiful quilt too! Julie! There just aren't enough exclamation marks for something like this! This is HUGE! 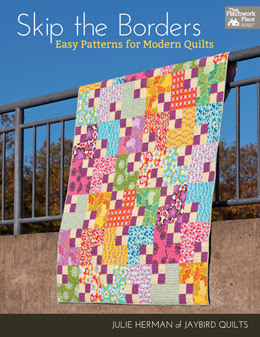 I love the quilt and will pick up a copy for you to sign at market. Congrats! You have really accomplished alot to be proud of!! Oh my goodness! I am so happy for you! Wow! That is one of my fav magazines. Congratulations! Julie - So proud of you! You have such talent and I am glad that the world can see it openly!! <3 that you are thriving and able to do something you love. Check you out! That is so cool, and this is my fave magazine too, so I am totally buying it. Your quilt is really cute. Great job!!! You work hard for it, I know. Congrats! Your quilt looks so wonderful on the cover! How exciting!! Congratulations BIG TIME!!! This is so cool. I love both versions of the quilt (did they ask you to do the different one for the cover?). cool! so cool for you! Whoo hoo! Way to go, girl. HOw cool is that! A cover girl! I love that quilt... it's really cute Julie! I am anxious to see your Fat Quarterly magazine also... next week, right? Congratulations on the shop too:) You are on a shooting star!!! congratulations that is sooo cool! that is so awesomely amazing!!!!! and well deserved that quilt is beautiful! and exclamation away....i know i do!!!!!!! I just love good news and when one of out own gets recognized!!!!!!! Yeah for you and continued good wishes for even more fame and fortune.....this pattern is so cheery and bright who could resist? That is super news Julie!! I'm totally geeking out over here in IL for you!! I can only imagine how you feel!! You and the quilt definitely deserve it! Congrats on being the covergirl!! I know how thrilled I would be...so I just know you are on cloud nine!! way to go!! Congratulations! You are amazing and deserve your moment in the spotlight (or is that cover-light? hmmmm...)! Wow...that's so exciting for you! Congratulations!!! Gefeliciteerd! this is so cool. Wow Julie! It's absolutely gorgeous. You must be thrilled! Woohooo .. cover girl. Congrats Julie, fabulously exciting news! Congratulations Julie, its all happening for you. Enjoy it! it's only fitting that i get to be your 100th comment. Congratulations! I can't wait to pick up a copy!! love this publication; i eagerly await the next issue; always great ideas and inspiration. congratulations on your submission! My FAV magazine! Good for you and congratulations! Wow! Congratulations! That is so exciting! Your quilt is beautiful! wOw I love that quilt! Congrats on making the cover!! Congratulations!!! That is absolutely wonderful; I'm so happy for you! Congratulations on having your quilt published. What a great accomplishment. I love your circle quilt. I bought the fabric - a layer cake on line (a first). I've never bought a layer cake or any fabric on line. I am learning a lot from the Philly Modern Quilt Guild - I'm so glad I joined. I will no doubt be pestering people for advise as I go along. I picked up this magazine because of the quilt on the top and THEN I found your blog! I love it and have intentions on making it one day. Congratulations! You deserve it!